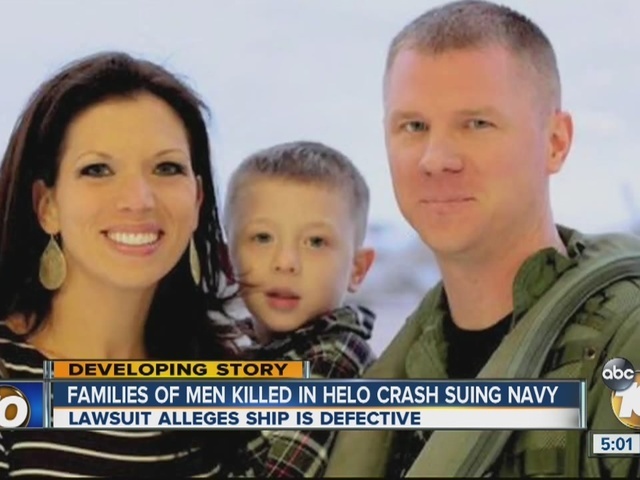 The families of two helicopter pilots who died in a crash are going after the Navy. They filed a lawsuit because of a crash that happened exactly two years ago Tuesday. 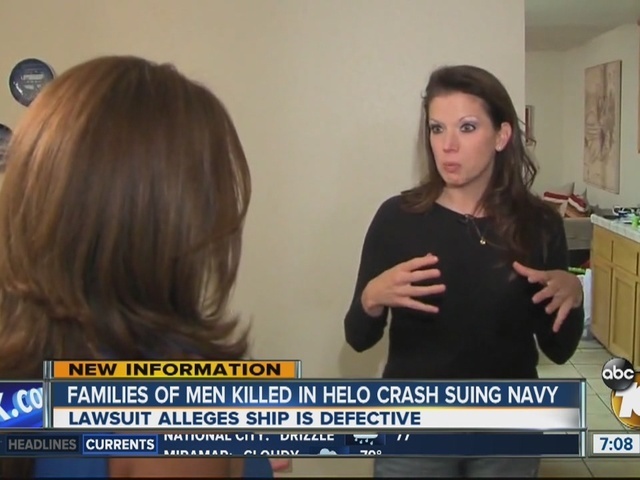 It ravaged the families of Commander Landon Jones and Chief Warrant Officer Jonathan Gibson, and the suit claims it was utterly preventable. Theresa jones will not forget the moment that left a hole in her heart and left her two children without a father. "My life as I knew it was over," Jones said. The lawsuit says the USS William P. Lawrence had a "low-freeboard" flight deck, which was basically pointing out the relatively short distance between the flight deck and the waterline. It went on to say the ship's movement only exacerbated the dangers. A source tells me the high speed made the back end, where the aircraft land, go deeper in the water. It was estimated to only be about seven feet above water. The source said it probably should have about double that. Kyle McCarty was also on the MH-60S when they landed. "I see the entire helicopter just jumping up and down, leaping," McCarty said. He got out it before it snapped in two. "I straighten over to look over my feet in time to see it roll over the ship and into the water," McCarty explained. His friends vanished in the Red Sea. "Accident or not, we still need to be held accountable for our actions" McCarty added. The suit said the Navy has known about the "defect" wherein waves crash over the flight deck since 1983 but ignored the warnings. Navy leaders acknowledged they need to manage risks better and said this in part: "The Navy has since taken steps to improve the sharing of hazard information to improve risk decision-making across the force." The statement went on to point out changes that have been make like Better technology, more training and a fleetwide safety management system.